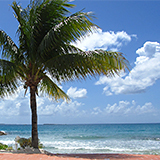 My wife Deb and I have been visiting Anguilla for over 30 years. 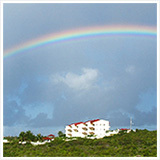 The roads, buildings and resorts have changed but not the gentleness and friendly nature of most of the Anguillan people. We like to come at Carnival time in August and enjoy the sailboat races. We race around the island at various points and watch these magnificent sailboats twist and turn and navigate. Our first visit watching the races from the beach at Sandy Ground was eye opening as many of the fans were arguing with other fans about each of their favorite boats. We actually thought there was going to be a large fight but soon learned the Anguillans are very spirited fans! 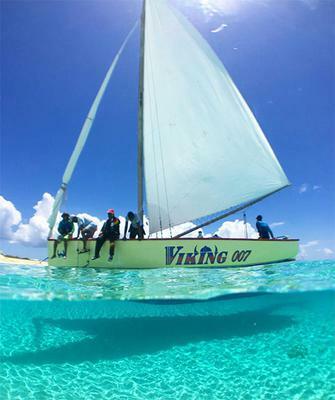 Years ago we had struck a friendship with Levette Richardson, a boatbuilder and model builder of Anguillan sailboats. We stayed in touch for many years and would see Levette each year on our visit to Anguilla. He eventually married a gal and moved north to Virginia. As so often happens we lost track of each other. Last August we were watching the start of one of the races from Back Street overlooking Sandy Ground. Started talking to Mac Pemberton who runs a transportation business on the island. Mac was his effervescence self as we learned more about each other and life on Anguilla. I told Mac about Levette at the time. We then went our separate ways. Several days later we were in Blowing Point for the finish of one of the races and saw Mac again. He said "stay right where you are". Five minutes later he walked back with Levette and his family, who had come home for the Summer Carnival!! Looking forward to returning in August and cheering for Sonic!!! !